Master the realm of Ancient Greece with our guide to PC controls and key bindings in Assassin's Creed Odyssey. Assassin's Creed Odyssey has arrived, giving PC players a peerless look at Ubisoft's open-world take on Ancient Greece. As is generally the case, the game's PC bindings and controls aren't exactly as straightforward as its gamepad controls, but fret not: we've got a list of each and every PC key binding featured below. 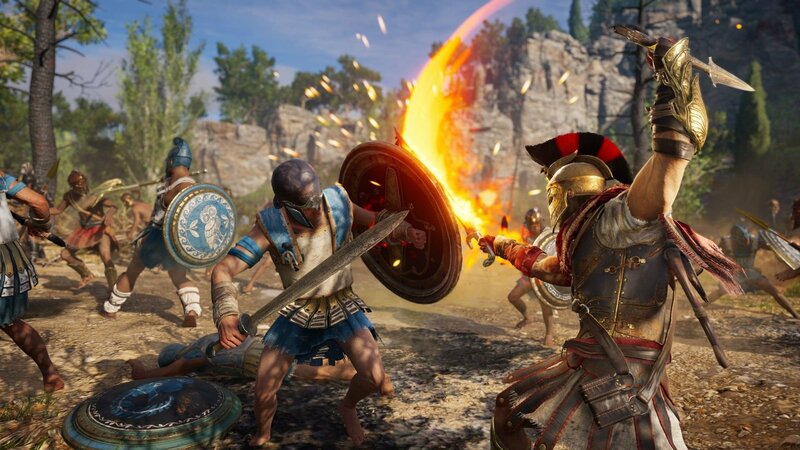 Most of the PC controls in Assassin's Creed Odyssey as are players will likely expect: W, A, S, and D control general movement, while camera control and attacks are mapped to the mouse. There are a few differences depending on whether the player is on foot or at sea, and several shortcuts are available for quick menu navigation. With our handy key binding charts, coming to terms with the PC controls in Assassin's Creed Odyssey should be a breeze. To learn more about Ubisoft's latest release, including tips, strategies, collectible locations, and more, be sure to stop by our expansive Assassin's Creed Odyssey walkthrough and guide.